Today I’ll be providing a review and letting you know whether or not I believe that this is a worthwhile opportunity. 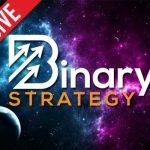 The binary EOD signals service is different from most software and strategies on the market right now because it specializes in end of day signals. This means that they release signals between 9 AM and noon London time and then you place the signals to expire at the end of the day. This signal provider will be sending one to three gold signals per day and they believe their focus is on quality and not quantity so don’t expect anymore. They tell traders that use the binary EOD signals that they no longer need to get involved in technical and fundamental analysis because that is their expertise. At this point in time this is all that is provided to us about the signal service. This just hit the market and so there is little to no information and there are no real user reviews yet available. Today I will not be recommending the binary EOD signals because it is just too fresh. We can use this page as an area for us to discuss and monitor the results of this new signal service moving forward. At this point in time I’m not willing to say whether this is a good or bad signal service because there is just no indications of either. I do appreciate that this is not just another free binary options system so kudos to them for that. If you have anything you would like to add to this review please leave your comments below the article.